This balsamic pork loin roast is a delicious one-pot meal that’s perfect for feeding a crowd! Pork loin is coated in a flavorful balsamic sauce, then roasted alongside carrots and potatoes. We are back with another rendition on our pork loin! 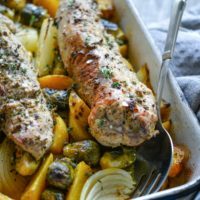 You all loved our honey mustard pork loin so much, we are excited to bring you this balsamic pork loin roast that is complete with vegetables for a one-pot meal. This is a perfect Sunday dinner, is great for company, and would even make for a fantastic main course for Easter! The first step to a good pork loin is lots of flavor. Pork loin is relatively low fat, so it inherently won’t be as flavorful as, say, a pork shoulder. Here, we make up for that by searing the pork loin to create our first layer of flavor, then we slather a quick balsamic sauce over top that can also be reserved for dipping. 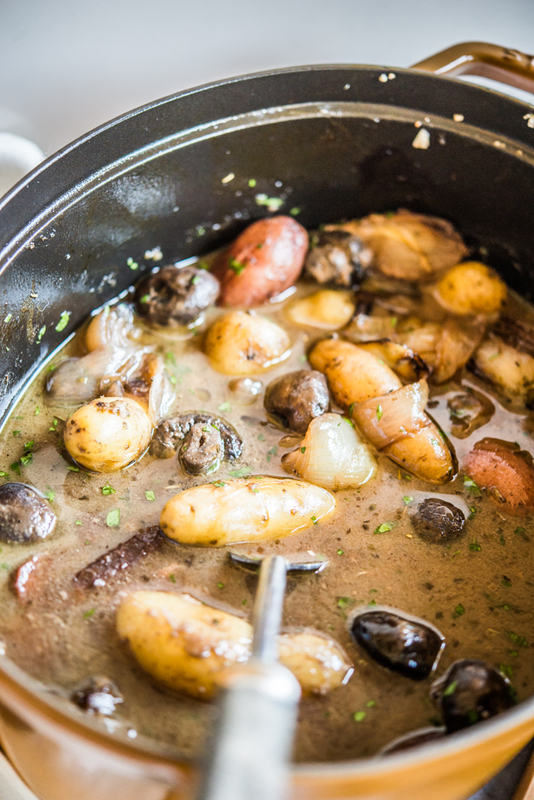 Finally, we roast it alongside onions, garlic, and thyme to infuse it with flavor as it cooks. The second step to this balsamic pork loin roast is the cooking method. While many recipes call for pan-roasting pork loin, we’ve found that pot-roasting it is the key to success. This way, the broth in the pot creates the perfect environment for achieving juicy flavorful pork. Meanwhile, the lower temperature that the pork roasts at ensures tender pork. 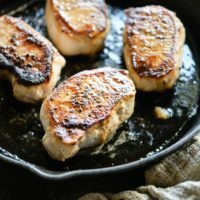 If you’ve been subjected to dry, tough, flavorless pork in the past, rest assured that that won’t be the case with this balsamic pork loin roast! 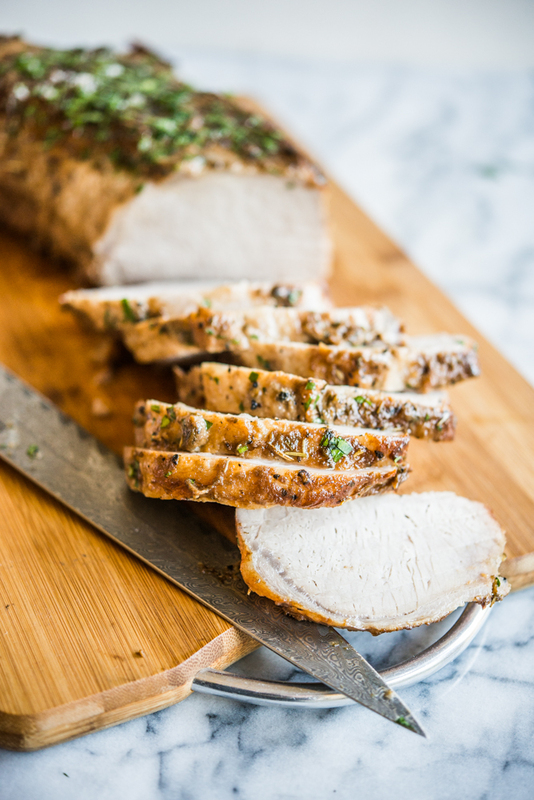 The final step for ensuring that your pork loin is perfectly-cooked is to use an in-oven thermometer. This way, instead of setting a timer, you can set the alarm to go off when the pork reaches 145 F. Once you remove it from the oven, you can place the pork loin on a cutting board and allow it to rest for 15 minutes so all of the juices don't run out when you cut into it. Pulling the pork out of the pot also keeps it from continuing to cook inside of it. For our vegetables here, we chose carrots, potatoes, and mushrooms, but you can choose any root vegetable of your liking! Simply sear the veggies beforehand, then roast alongside the pork for a complete meal. 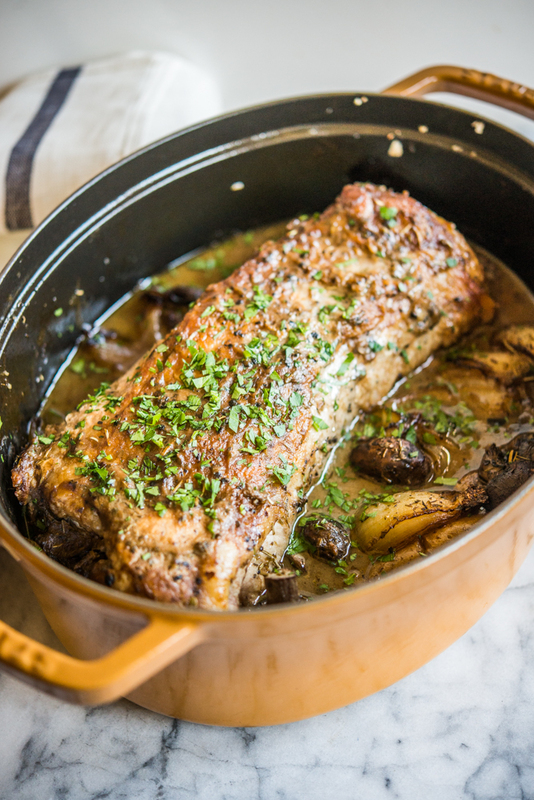 We hope you love this balsamic roasted pork loin as much as we do! 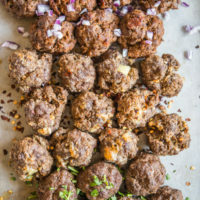 A hearty, easy, and delicious meal, perfect for your next dinner! Whisk together the ingredients for the balsamic glaze. Heat olive oil a large, oven-safe lidded pot over medium-high heat. Add the onions, whole garlic cloves, and carrots and cook 3-4 minutes per side until browned and remove from the pan. In a small bowl, combine the salt, pepper, and garlic powder. Season pork roast liberally with the salt and pepper then add to the pan. Brown 5-6 minutes on one side, then flip. 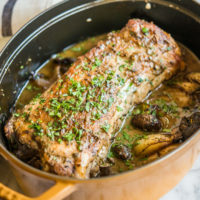 Spoon the balsamic glaze over the pork roast, then add the onions and garlic back to the pan, along with the potatoes, mushrooms, broth, and thyme sprigs. Place the lid on the pot and bake at 325 F for 1 hour, or until the center of the pork roast reaches 145 F.
Remove the roast from oven and let sit for 15 minutes before slicing, then serve! I’m definitely making this, looks amazing. Just a quick comment on your recipes though, and maybe this is just me and my 49 year old eyes, but whenever I print them, they end up with such small font I can barely read the words…not sure if it’s just my computer or what’s going on but I’ve just started copying them and pasting into a word document that I can enlarge, but I thought I’d let you know. Thanks for the great recipes!! Hi Robin! We are actually working on a full site re-vamp so we’ll make sure to keep the size of the printed recipes in mind as well! I also have the same problem when I go to print. I don’t know if it’s my phone but I don’t see the number of thyme sprigs to add and the garlic powder is in the list of ingredients for the glaze rather than the pork salt mixture. I just guessed on the thyme sprigs so hopefully it comes out well! Hi Joann, it should be 5. 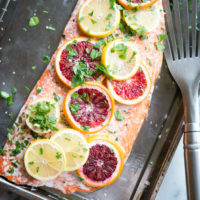 The recipe is updated now!